As an Ann Arbor Michigan Birth Photographer, I'm grateful enough to be a part of a family's most monumental day. I'm even luckier when those mamas and families become friends to me and my own family. I knew Sara long before she became pregnant and she always said she'd be giving me a call when she was ready to have a baby. It was a long journey for them, but after a successful IVF treatment, she became pregnant with Isabella. When I heard the news, I actually cried. They wanted this baby so much <3 Sara endured a lot during pregnancy, more than most moms do. Sara is a labor and delivery nurse and she joked that the difficult pregnancy was the 'nurse curse.' She was hospitalized more than once and classified as high risk. Sara wasn't able to birth in the birth center at the hospital that she worked in, and that was really hard for her - but no matter what, she remained positive. As her due date neared, she became more uncomfortable and her blood pressure went up. Induction was necessary to keep Sara and baby Isabella safe. When I arrived at the hospital, Sara was doing an incredible job laboring without pain medication. Her husband held her through each contraction, keeping her safe, rubbing her back and being a positive support the entire time. It was incredible to watch them together. Then suddenly Bella's heart rate started to drop and an emergency cesarean was necessary. They rushed Sara into the OR and Nick and I followed along. Unfortunately, the epidural didn't take in time and she had to be put under general anesthesia, so Nick and I couldn't be in the room with her. I sent my camera in with one of her nurses, her friend and co-worker. She did an incredible job capturing moments that Sara would never have seen if it wasn't for her. 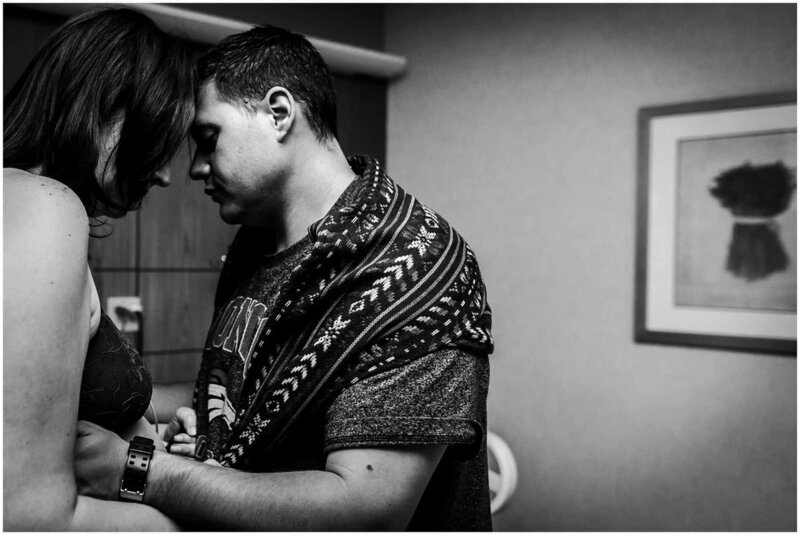 Nick met his daughter shortly after birth in the hallway, and Sara was wheeled back to the room shortly after. Sara was brought back to her own room shortly after surgery and enjoyed skin to skin with her daughter for the first time. University hospital honored her wishes, even when she wasn't able to speak them herself. Sara is my friend. She's also the strongest mama I've ever known and it's me who is honored to be her photographer.